let me wish you and your families all a Happy New Year. 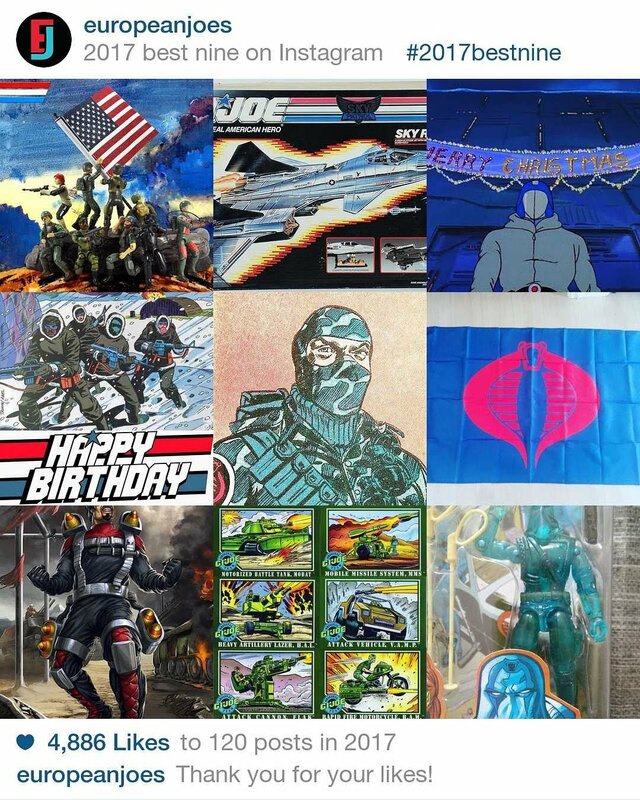 As any year, let’s hope some new Joes find their way to our collections! 2018 promises to be quite a challenging year. We are moving to our new house, but there’s still a lot of work to do before we can move in. My entire collection will be boxed up (about 70% is already in boxes now) and will remain in boxes for a while until we can find the time and money to build rooms in the attic. I did briefly consider selling my collection, but I just can’t. It’s a part of who I am and it gives me a reason to write blog posts and maybe even stories again. Next Next post: A blast from the past!